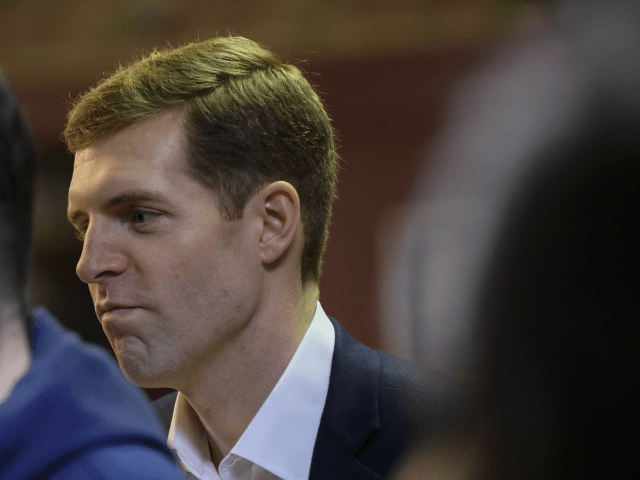 President Donald Trump praised Conor Lamb, the winner of the Congressional special election in Pennsylvania, for running a smart campaign on his agenda. Trump made his remarks during a closed-door fundraiser in Missouri on Wednesday evening. Audio of his remarks leaked to several media outlets. Lamb won the race with a 627-vote lead against Republican candidate Rick Saccone in a Pennsylvania district that Trump carried by nearly 20 percentage points in 2016. Lamb was elected to replace Republican Rep. Tim Murphy who resigned after it was revealed he urged a woman he had an affair with to get an abortion. Lamb will serve in Congress until November when he faces re-election. “It’s a lot of work for five months,” Trump said, noting that the congressional seat would soon be redistricted in the state.